The origin of asthma, autism, Alzheimer's, allergies, cancer, heart disease, obesity, and even some kinds of depression is now clear. Award-winning researcher on the microbiome, professor Rodney Dietert presents a new paradigm in human biology that has emerged in the midst of the ongoing global epidemic of noncommunicable diseases. 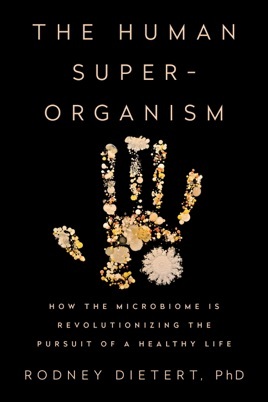 Ultimately, this book is not just about microbes; it is about a different way to view humans. The story that Dietert tells of where the new biology comes from, how it works, and the ways in which it affects your life is fascinating, authoritative, and revolutionary. Dietert identifies foods that best serve you, the superorganism; not new fad foods but ancient foods that have made sense for millennia. He explains protective measures against unsafe chemicals and drugs. He offers an empowering self-care guide and the blueprint for a revolution in public health. We are not what we have been taught. Each of us is a superorganism. The best path to a healthy life is through recognizing that profound truth. Dietert, a professor of immunotoxicology at Cornell University, introduces readers to a new perspective on human health, arguing that humans are "superorganisms" composed of thousands of microbial species that live on and in us ancient microbial partners against which we have been waging a devastating war. He asserts that the 21st-century "epidemic" of non-communicable ailments such as allergies, autism, cancer, heart disease, obesity, and even depression has arisen due to "the loss of a higher order of self-integrity involving our microbiome." Due to antibiotic "overreach," diet, urbanization, elective C-section births, and medical treatments that ignore the microbiome, Dietert writes, humans are missing the microbes needed to stay healthy. He concedes that it is possible to modify an individual's microbiome, but the necessary analyses of skin scrapings and swabs, evaluation of microbial genes, and the appropriate blood chemistry work are unlikely to be offered at anyone's next routine visit to the doctor. In addition to his survey of the microbiome, Dietert explores microbiotic self-care, which largely involves probiotics; on this front he offers both an impressive personal recommendation and a brief list of resources on probiotics. Dietert makes a fascinating case for an exciting, emerging field that offers a new way of thinking about the human body and health.